The most important factor in determining what your benefits are is to be able to have your injuries ascertained by a qualified medical professional. This will serve as your testimony and will let the company's insurance company assess your present and future needs. It's important to have the right team behind you, fighting for your rights and getting you the benefits you deserve. 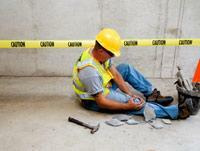 Please do not hesitate to contact us with your work injury case - our expert attorneys are here to help.